In this post I'll be talking about how gold forms in vein material, among other things. Hopefully, the material I'm presenting will add to your existing mining and prospecting knowledge...always a good thing. OK, here are the basics of gold genesis. 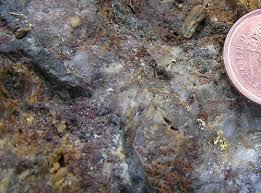 Most scientists believe that gold was present in the fluid core of the earth eons ago. The key word here is "fluid." The gold that was present long ago was in dissolution (i.e., "dissolved") and was carried as a chemical solution (not as molten metal as some still believe) in the earth's molten core which is thought to be composed mainly of iron. As these mineralized solutions cooled, they moved upward toward the earth's crust. Geological forces such as extremely high pressure and temperature (hydrothermals) served to force or "precipitate" gold-bearing solutions into crystalline carriers and/or certain host rocks near the surface of the earth's crust. As these solutions cooled, they became infused in their hosts either as free-milling metallic gold or gold in a refractory state. Large-scale geological forces such as faulting, uplifts, earthquakes, vulcanism, earth slides, and erosion then exposed gold-bearing veins to the open air where further erosive actions such as cold, heat, rain, snow, or other natural mechanisms eroded the gold-bearing material out of its host veins as float, elluvial gold, and alluvial gold. 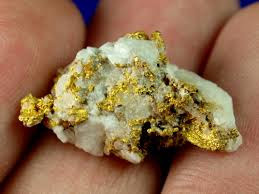 An even greater percentage of this gold-bearing material remained underground hidden from view, sometimes hundreds and hundreds of feet underground or even deeper. 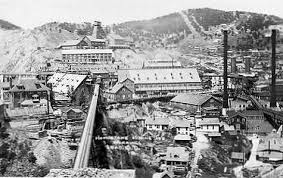 Lode gold mines such as the Homestake Mine in South Dakota and the huge, carbonate gold fields of the Witwatersrand Basin in South Africa are excellent examples of these deeper, gold-bearing vein deposits. Each geographic region throughout the world is different than the next when it comes to the distinct geology and the geological mechanisms that helped create gold-bearing veins in those areas. Although similarities in gold carriers and formation can be seen from area-to-area and region-to-region, no two gold-bearing lode areas share exactly the same dynamics or characteristics. Ditto for placer gold locations. Again, there are lots of similarities but each placer location varies widely in terms of where the gold is and what form its recovered in. This is something you should file away in your personal mining lexicon. In other words, look for what is proven and known and, at the same time, keep your eyes open for variations that seem out of the norm. 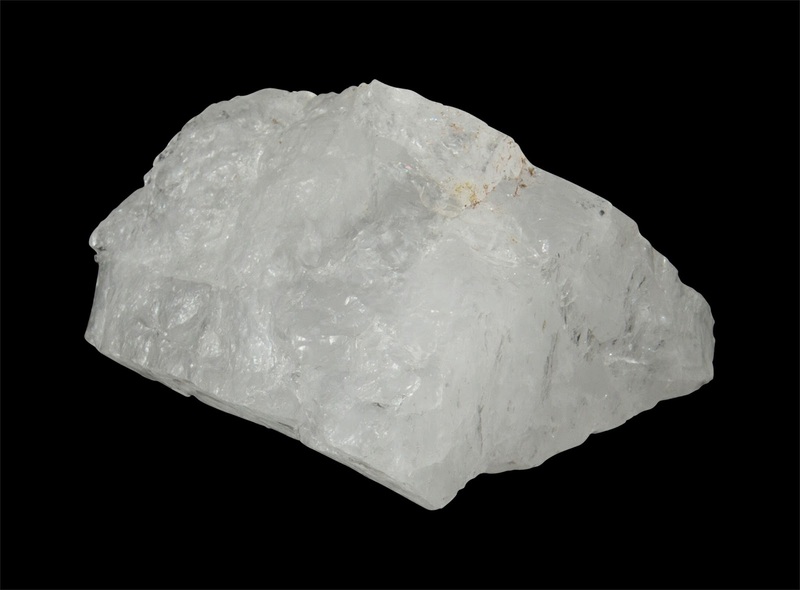 For example, free-milling gold is often found in otherwise barren-looking white quartz that has a powdered sugar appearance. In fact, this type of vein material was often called "sugar quartz" by the old timers. However, in my own experience most barren or pure white quartz that shows no signs of sulfide mineralization usually hasn't carried gold. The lesson here is that white quartz may indeed carry gold in some instances, while highly mineralized quartz that's present with sulfides like pyrites has a much greater chance of carrying gold. This may be anathema to the Ph.D's out there, but I'm speaking here from 35 plus years of field experience. Again, the idea is to know all about these sorts of variations so that you're firing on all four cylinders when you're prospecting. I think it's a good time right here and now to bring up an important point. Quartz vein material has produced a hell of a lot of gold over the centuries but many small-scale prospectors and miners seize on quartz as THE ONLY crystalline carrier of vein gold. If you have that mindset (as many newbies and greenhorns do), then you need to open your eyes and ears and come to the realization that quartz is only ONE crystalline carrier of gold. There are many others and I've already discussed some of those in this series of posts. My advice? Instead of obsessing on quartz alone when you're out in the field, start looking closer at more mundane-looking rocks that may not contain quartz but that display a high-degree of sulfide oxidation or carbonaceous mineralization. Color is an important clue here, as always. 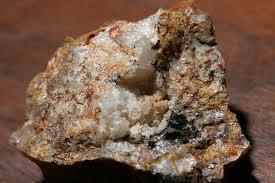 Sulfides and carbon ions (as well as other chemical or mineral constituents) typically alter the natural color of host rock or even any quartz that may be contained in that rock. Other crystalline forms of calcite, barite, copper, silver, iron, and so on can tell extremely interesting tales when it comes to gold-bearing vein materials. So my advice? Open your eyes and your mind to the possibilities and quit getting fixated solely on quartz. Sure, you always want to take a look at rocks containing quartz (or veins containing the same) in gold-bearing areas, but other signs may out there right in front of your face and you're passing them by. Another thing to remember is that if you're placer mining and start recovering a fair amount of gold from that stream, creek, or wash that still has crystalline matrix material attached to it, then your gold radar should start humming. This doesn't happen too often in placer mining but it does happen on occasion. When it does, that should tell you that the placer gold you're recovering hasn't traveled all that far or, alternately, hasn't been in that stream bed very long, depending on its overall coarseness. When something like this occurs, stop what you'd doing in that stream or wash and start opening your eyes to what's around you or not too far away. If you've learned the signs to look for, you could trace your way to a small outcrop or vein containing free-milling gold. You'll know you're there when the matrix still attached to those pieces of placer gold you've recovered match the crystalline carrier in that elluvial or vein deposit you just tracked down. Bingo! One word of caution here though. Tracing placer gold back to its source is not an easy task. It takes time, patience, and knowledge, so don't expect instant success in this regard. Now get out there, find something, and make me proud! Thanks much Bill. I appreciate your ongoing support.